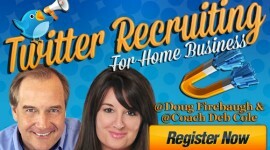 What do you for your home business MLM do everyday to build a recruiting list? Do you ever feel like that you are finding ALL THE WRONG PEOPLE? Do you HAVE a Recruiting List? 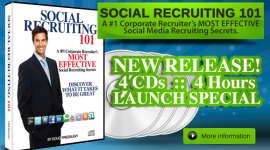 A Recruiting List is a list that is BEYOND an mlm leads or network marketing prospect list. It is a list that you have researched their profile on social sites, learned about them and who they seem to be, and are prepared to connect with them in a whole new way. 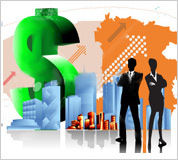 Many home business multi level marketing leaders think that building a list is the answer. Many prospects that are on a prospect list are not really that interested in your offer. But the ones that you have on a Recruiting List have proven they at least have an interest. 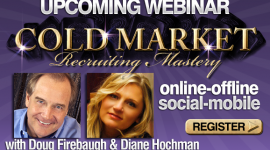 What can you do to build a Recruiting List in your network marketing? 1. Get them engaged and interacting with you in some CONSISTENT way. 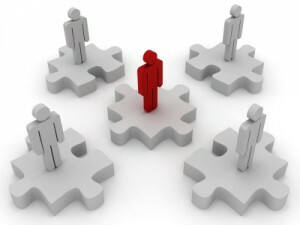 To build a recruiting list, you must get them to MOVE towards you, and get them CONNECTED to YOU. Send them something to DO, READ, WATCH, or invite them to skype you or join you in a text chat. 2. Ask them questions that will reveal if they are a OPEN to something additional. 3. Be Direct and simply Ask if they are Open to New ideas. Being Direct and to the point can scare some folks in MLM, but it works. It saves you time, and money, and emotion, and can often show that you are a serious Leader thsat Values their time. Especially on social networking sites, as it does cut through the fluff and wasting of time. CAUTION: There is a difference between being DIRECT and being rude or arrogant. I am simply talking about being Direct in a nice way and cutting a lot of the initial chit chat down to where it is not impeding your recruiting efforts. Yes, some people may need more initial chat then others, but use common sense. Spend time with those who are GROWING in life, not stagnating. Building a Recruiting List can also be done with opt in pages that are more DIRECT and to the point. Yes, you will get fewer opt ins, but you will build a better list for recruiting for your MLM network marketing home business. Recruit with ease on LinkedIn? Read this! Finding Leads when you are not even looking? Are You Talking Options When you are Recruiting? What happens when you start your recruiting in network marketing for your home business? What do you FEEL? Do you feel like you could almost lose your breath because the fear of recruiting has hit you? Do you wonder why it is so easy for others, but not for you? I have good news. Recruiting in network marketing mlm is easy. And fun. And that is why I wanted to give you 11 quick tips on how to recruit in network marketing so it would inspire you and educate you on what to do and NOT to do. Whether online, social media, or offline, ask so many questions, that the prospect ends up dominating the conversation. Find out about their life, interests, family, dreams, and then their future. Let them become the super star of the conversation, and you ONLY listen. They are telling you how to recruit them. Encourage them and congratulate them. Keep them in the spotlight and make them feel like a million dollars! We all have a tendency to recruit through our views and filters, and not the prospects. Look through their eyes whether online or offline, as far as where they currently are, financially, emotionally, family, socially, and career wise. Start in their world, and then lead them to your world of Network Marketing Home Business Success. 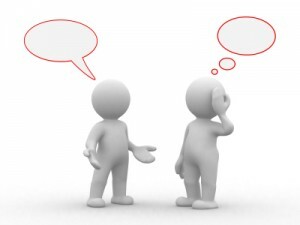 Again we have a tendency to focus on what we can GAIN out of a conversation, not give. This secret is simple and to the point. You are talking to the home business prospect online or offline, to see what the prospect is looking for, and wanting in their life. Let your MLM business be the delivery vehicle of their dreams. We love to talk about ourselves. Our new car. Our new home. Our new…blah blah blah. There is nothing more telling than when a Network Marketing distributor uses the words “me” and “I” more than the word “You.” The word “You” psychologically draws the person towards you and lacks ego in your network marketing recruiting efforts. Pressure is a form of insecurity. READ THAT AGAIN. When a distributor starts putting pressure on someone, it shows there is pressure built up inside of them. Back it off, or it will turn them off. Start using phrase that are magnetic like “I am not sure if this is something that would be right for you or not…” “I am not sure this would be a fit for you…” –great phrases to let off the pressure in your network marketing recruiting efforts. We can run our mouths and talk about what we want to talk about in recruiting. What about the prospect? Many times we have a tendency to tell a prospect what their life could be like, without understanding they may want something different. Ask “If all things were possible, what are you looking to do with your life?” Then listen. They are telling you what you need to know to recruit them into your Network Marketing business. Many people think of writing down 100 names, and shut down. They get paralayzed. Here is a tip: When you start your warm market list of who you are going to call, many times people get paralyzed with thinking about 100 or 200 names to come up with. Start with 10 and then another 10…then another 10…you get the idea. It is easier psychologically, and less intimidating. You STILL come up with 200 names, but psychologically, you do it with only 10% of the perceived “pressure” to complete a 100 name list. One question can turn a memory jogger into a GOLD MINE of leads. ask: “Who do I know that they know?” or “Who do you know that they know?” This question works as a multiplier of your names, and has the potential to explode your potential business with more names than you realized you knew. You will pull a “recruiting muscle” in your mind if you are not careful. And then you will start to doubt yourself because you are getting a LOT of No’s becuase you di not practice first. If you are going to mess up, mess up during practice, and continue to mess up with your sponsor. Practice and get some “experience” before you make the first Live Recruiting call. It will put you light years ahead, and it equips you for the real thing in MLM. These are 11 Quick tips for network marketing recruiting for your mlm home business. Linkedin Recruiting Secrets- read this! Have you ever considered, for your home business recruiting online, but yet when you thought about building a team, you shut down as nothing seems to work? Did you ever recruit someone in your MLM and then from time to time tried to work with them online- and you got frustrated as they were never available for you? That is normal for a lot of MLM leaders that work online. There are many mistakes made when building a team online, and we have seen a lot of those being done. This really can make you feel like you are inadequate and cannot do this business right. Well, you ARE adequate and there is NOTHING wrong with you. But there are some network marketing home based business team building secrets that you may want to consider if you are going to build an online team across the country. Many software companies out there do offer great tools to find people via the internet, and recruit people online. How do you KEEP people in your mlm home business team? How can you reduce your attrition, which normally online is enormous? Well, I got some good news for you. Here are 3 secrets to building online that will help you MULTIPLY your team, versus lose your team on a monthly basis, or so it seems like. 1. Create a SYSTEM of training that is sent to them for at least for the first 14 days. The first 2 weeks are CRITICAL. You are being “tested” by your team and you do not even know it. We have found that the first 2 weeks of a new team member’s journey are the most important. They need to be EDUCATED, MOTIVATED, and ACTIVATED to go out and work their new home business. Get an account with www.aweber.com and learn the system. It is an autoresponder system and you are going to have to have one to grow a team online. Assume they know NOTHING. Start there. Give them the very basics of this business, including what IS network marketing. Make it so basic that even a 5th grader could understand it. The cover the actions they need to be doing and send them an email or social mail covering each action one day at a time. Then give them GOALS to achieve everyday that are obtainable. Focus them on GOING and SHOWING and not just Learning and Yearning. 2. Create an Online Success Environment with a daily webinar for 10 minutes. This “Focus Webinar” helps focus the new people and get them GOING and SHOWING. It will display your Leadership as well as your commitment. You do this everyday for 10 minutes. It can be in the morning or at lunch time. But do it DAILY. It establishes a great CONNECTION with your new members, builds momentum, as well as shows them they need to do the same thing for their new people. 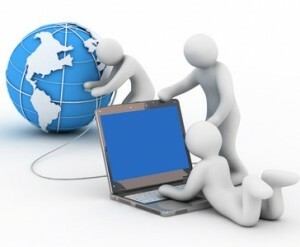 Spotlight each new member in the webinars, and congratulate them for their efforts. Give them daily a LEADERSHIP QUOTE and one tip for building their business. Give them a chance to ask questions as well. This will create a community feel to it. Then tell them how much you are looking forward to them walking across the stage as a top earner. 3. Send “Encouragement Texts” daily and let the new people know you appreciate them. These are simple one or 2 line messages stating you believe in a person and that keep up the great work as every top earner in the company started the same way. Feature them on social sites and make them feel like a super star. Tweet about them. Post about them. Youtube about them. Cinchcast about them. And more of the same on other social sites. If you do these things, you will see that your new team members STAY LONGER, WORK HARDER, and GROW BIGGER in your MLM network marketing home business. 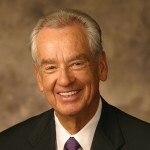 Prospecting Secrets for the New Person? Social Network Marketing Training for YOU- read this. Home business websites are ranked by google. 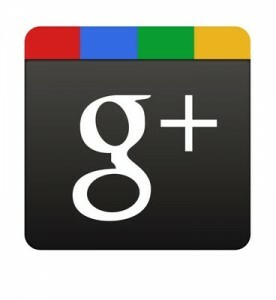 But with the addition of google+ there are many new things coming as far as ranking information. How does +1 affect search results? +1 helps people discover relevant content—a website, a Google search result, or an ad—from the people they already know and trust. The +1 button appears on Google search, on websites, and on ads. For example, you might see a +1 button for a Google search result, Google ad, or next to an article you’re reading on your favorite news site. Adding the +1 button to pages on your own site lets users recommend your content, knowing that their friends and contacts will see their recommendation when it’s most relevant—in the context of Google search results. In addition, a user’s +1’s appear on the +1 tab of their Google Profile. While +1’s are always public, users can choose to make the +1 tab visible or invisible on their profile. When a signed-in Google user is searching, your Google search result snippet may be annotated with the names of the user’s connections who’ve +1’d your page. If none of a user’s connections has +1’d your page, your snippet may display the aggregate. Read and comment if you wish. What do you say in your home business when someone tells you NO? That one word probably makes you feel like a louse and loser if you are in multi level marketing. Many people that hear the word NO feel like that. I used to feel that way, but I realized that the word NO was controlling me. It was slowing me down. It was making me focus more on what I just heard versus what I must say to the prospect. That is a HUGE issue with many mlm network marketing professionals. The word NO is NOT the end of the conversation. Not when it is face to face. Not when it is on the telephone. And not when you are on social media sites. It is the BEGINNING of a different phase of the conversation you are holding, that is all. it is the beginning of the “transition” phase where you transition them from a prospect to a referral source or a cheerleader. Many people simply are not for this business. And we need to understand that some never will be. But they still have Value to your future home business. Leading you to other folks, or leading you in cheers. And that is the reason for this article. You need to know the 3 things you can say when someone tells you NO that will keep the conversation going. The conversation did not end in all 3 cases. It just TRANSITIONED to a whole new place and focused on something less personal and more helpful. This little secret to mlm recruiting can prove to be an extremely powerful tactic if you are getting a lot of NOs. In your home based business, getting a NO is not the worst thing that could happen. It may be the BEST things as it will GROW YOU and FORCE YOU to get BETTER. Either you Grow UP or you will GO OUT of this business eventually. These are three things you can say when someone tells you NO in your MLM network marketing home business. Where are the most prospects and the easy ones to find? How Can you Combine Social Networking and MLM? The ONE THING about MLM Most Do Not Know that KILLS their business. Are you tired in your home business of trying to get people’s attention and they seem to ignore you? Do people seem to “disappear” when you start to talk to them about your home based business? In MLM in social media, there are many people trying to get people’s attention to talk to them about their network marketing business. How do you set yourself apart from all the other networkers out in the social zone and get people’s attention? It is easy if you understand how to, and it is quite powerful. Many people in social media, whether on google+, facebook, LinkedIn, or whatever, use these places to prospect for their business. And what happens is they do not understand that there is a process of conversation in social media. That process starts with an Impactful Conversation that you start with someone. If you create IMPACT with your initial communication, then your odds of recruiting them just skyrocketed. But how you made them FEEL. That is why that you need some powerful “Ice Crushers”- not ice breakers. And I believe the more powerful the Ice Crusher is, the more powerful the Impact. This will get anyone’s attention. It lets them know you want to connect on a more powerful basis with them. Looking to xomeone as a Resource is a powerful way to Compliment them and get them to start a conversation with you. You need to become a Resource, but also create the conversation with prospects that they are also a resource for many. This alone will almost guarantee that you get an audience with this person. It calls them a Leader and also displays their leadership through your comment. Ice Crushers are something we have been teaching for a while for social media to our Private Clients. That is not an Ice Crusher, but an Ice Melter for your MLM home business in social media network marketing. 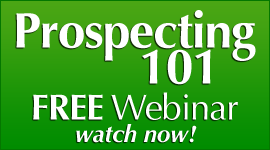 What are the Secrets to GUARANTEED Prospecting Success? Read this. Here are some secrets to LinkedIn Recruiting. n a home business, How do you truly optimize your Link Building on your blog and create a destination that can become a viral monster in network marketing? In the mlm blogging world, it is a lot about LINKING and who links to your website. This counts towards SEO and how the search engines rank your website. The more links you have , the better your website will appear to the search bots. I think that it is hard to argue that Home business blogs are now part of the network marketing culture. 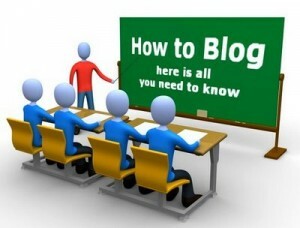 It is imperative that you have a blog today or your MLM business. I cannot tell you how many times that someone has told me that their blog changed their whole business structure. There is NO other option but having a blog, if you are planning on succeeding into today’s marketplace. I have had one for 6 years and now I have multiple blogs for different reasons. I cannot imagine anyone in a home business not using this powerful tool. You need to consider ramping up the blog you have as well. That is the reason for this post. This is optimizing your blog for total recruiting and social media success. There are 11 quick tips that I am going to share that really has made a difference in our blog’s performance and success at converting visitors into becoming part of the PassionFire family. What are these 11 Link Magnet Optimization Tips? 1. Enlarge and Enhance your linkability. Give it to them over and over again. Then continue to give them what they are looking for in content. Make it VISIBLE and ASK THEM. It is that simple. You can use the Add This button. You may want to consider the Sociable Plugin if you have a WordPress blog. 3. Spotlight Those who Link Back to You and CONNECT. List blogs which link back to you via permalinks, trackbacks or recently linking blogs (like the Yahoo & Google blogs do). Email them and thank them for their link. Get to know them and build a home business relationship. They will send more links and multiply your message to their base. Repurposing your content will increase the link magnetism. Take your blog post and turn it into a youtube video, article, podcast, mp3, ebook, and pdf report. This will explode links. 5. Be a “Go To” Resource and Feature other blog’s content. Become an Authority site and let people think of YOU when they think of your niche. Share the content of others. Copyblogger does this. So does ChrisBrogan. It has made their sites HUGE. You have not heard of them before in your home business efforts? 6. Respond to the folks that COMMENT as well as Contribute. Spotlight the TRUE stars of your blog- the readers and contributors. Always respond to comments as well as people who share other resources. LINKS baby! 7. Jump in the Discussions on other blogs- and BUILD RELATIONSHIPS. You have heard this before. But most do NOT do this for some reason. Jump in and comment on other people’s blogs. This wll provide links as well as building strong relationships that will multiply your message- and links-over time. 8. Target the Audience with Focused Content. PULL people’s eyeballs into your blog with content and solutions that are EXACTLY what your readers are seeking. Find out what their problems are, and then tell them how to solve them. This little website can get you all kinds of links over time. Are you using it? It submits your blog to over 90 directories and search engines. This is something most do not do. I get backlinks a lot from this one place as people click on the links in the post, and then link to it from the knol. 11. Become a Student of Writing Copy and Blogging- things change QUICKLY. Keep up with the changes in the blogospere. Study copywriting to focus your home business message and make it more compelling. No one is better than Copyblogger. 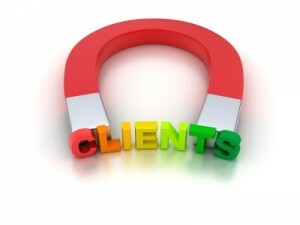 Make sure that your blog is pumped up for Link Magnetism for your MLM Home Business. Social Network Marketing- Secrets to Success-READ THIS. Are you doing Online MLM Recruiting? Home businesses today are focused a lot on online recruiting. Funnel marketing is what many call it. We have called it “Funnel Recruiting” for years. And it is highly popular in finding prospects online. Many people in MLM are engaged with this type of recruiting and I encourage anyone to look at it. It can be a gold mine if done right. Many people do NOT do it right. Our Private Clients all use some form of online recruiting and sponsoring. They are coached how to do it, and then to take it offline asap. And they do, and do it very well. All are highly talented professionals. But we have found there are 4 really powerful mistakes that can KILL your online recruiting dead. And that often happens with people in network marketing and home business. I cannot tell you how many folks I have talked to that have told me horror stories of folks being pressured to join a company by relentless marketers on the internet. Folks, it is either for the person, or it is NOT. Period. Quit looking so desperate and let the person go after they have indicated they are not interested. They are NOT who you are looking for. Automation is the ONLY way to go online. And if you are not IN FRONT of the people you are trying to recruit in their email, then odds are, they will forget about you. Put an autoresponder together with Aweber, and then learn the system. it is a great system, And then STAY IN FRONT of your prospects while you sleep. Being “Hip” is good to a point So is being cute. Cool doesn’t work for most. It cools the prospect off. Be professional and have a standard of EXCELLENCE. 4. Not Following a System. Systems are CRITICAL online and recruiting in a home business. If you are not using one, then odds are you are “winging it” at best in your MLM recruiting online. SYSTEM stands for: Save YouSelf Time Energy (&) Money. There are many great recruiting systems out there, as well as your company may have one. 5. Not Taking It Offline. This is how you become more HUMAN to the person and more REAL. 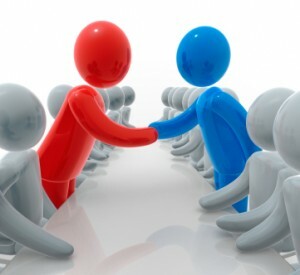 If they connect with you IN PERSON or at least over the phone, odds are they will be 100% more loyal to you as a Leader in your MLM Home Business. BONUS TIP: Talking about How Great You Are, and NOT Them. This is one of the biggest mistakes made. Keep your comments and online conversation focused on WHAT YOU CAN DO FOR THEM, and not what you can get from them. Shut your mouth about you. Make it ALL about them. 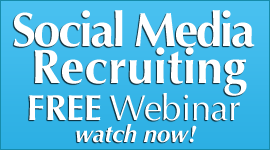 If you are struggling online with recruiting- GET SERIOUS. Odds are you are doing more than one of these problematic actions. Start systemetizing your mlm recruiting online for your Home Business. Endless Leads Secrets that Cost you Nothing to DO. Social Network Marketing- what are It’s Success Secrets? LinkedIn MLM -How One Change in Madelyn’s Profile Brought 9 New Recruits? Your personal Home Business Success on LinkedInoften can be elusive if you are not doing the right things. Often when prospecting, you do not realize that other people actually are looking at your LinkedIn profile and considering doing business with you. It happens daily. And it happens to a Private Client of mines. She lives in Tampa. And she was having a challenge with Lnkedin as she did not know what to do with her talents, education, and profile. She had created a linkedIn profile but left it there. Errrrr…not really. You must be VISIBLE on LinkedIn to be seen. She emailed me asking a question as she had been on some FireCalls on monday night. I eventually got the email and called her as she was asking about becoming a Private Client. She was very bubbly and energetic. We agreed to work together and started the journey. I suggested on her social sites that she make some changes, especially on her LinkedIn profile. She was not where they needed to be. She made ONE SMALL CHANGE and people started contacting her about her skin care products on LinkedIn. And she used the LinkedIn 4 step recruiting process. And the next thing you know- she got her FIRST RECRUIT from LinkedIn! 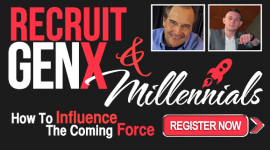 By the way- THREE DAYS LEFT until the LinkedIN Recruiting 101 webinar! September 22! And if you are reading this after the fact, there is a Replay available Discover from the # 1 Coroporate Recruiter in the Nation for a Recruitment firm his secrets to recruiting on LinkedIn! They have been especially adapted for home business! Clike Here to Learn more about it! She resarched the keywords that people were looking for, concerning her product line benefits, and then created what we call a “Magnetic Profile.” She started PULLING people into her profile and converting them. And she does that almost weekly today. She followed the Magnetic Formula for her Profile Keyword mix, and then created the EXACT Profile she was told to. She started getting contacted about helping professional women answer their skin QUESTIONS on LinkedIn as well as educating them. She even got some conference call offers to speak to wonen about skincare. Her business started to increase – a lot. The keyword formula is simple. But it MUST BE EXACT. It is 10%-7%-5% keyword mix – and in that order. And YOU can have that happen to if you just use the Magnetic Formula for keywords and search terms. 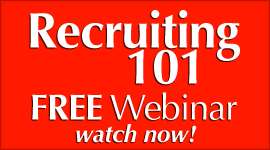 You will learn the secrets of creating a profile that PULLS people toward you at the LinkedIn Recruiting 101 webinsr. BECOME HIGHLY VISIBLE on LinkedIN with your home based ml.m business and products! 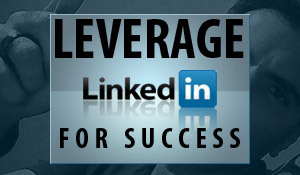 BECOME a RECRUITING MAGNET on LinkedIn with your business! Experience the results that Madelyn did and others have! Put your business on auto pilot with LinkedIn! Then you will find that you too will be recruiting 9 people in ONE WEEK with LiinkedIn for your MLM Home Based business! 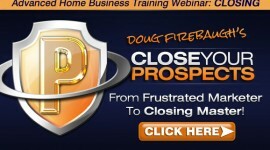 Discover the Power of Endless Prospecting Leads that NEVER STOP!